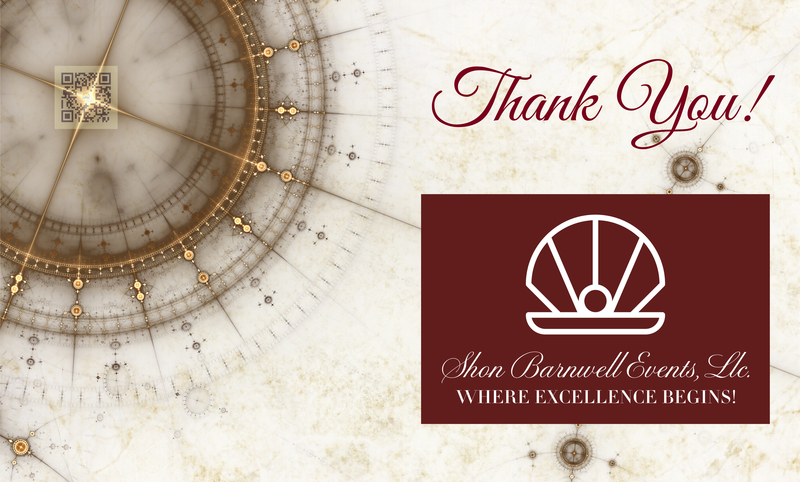 This week marks the fourth year since I launched my “Walk in Purpose” business effort – Shon Barnwell Events, LLC. The seed was planted when an associate gave me the book, “Weekend Entrepreneur” as a farewell gift during Team Barnwell’s departure from Ramstein Air Base, Germany to Warner Robins, Air Force Base, Georgia. I am grateful for a family of entrepreneurs who’s time, talent and tenacity provide the perfect example of commitment, perseverance, relationship building, compassion and strategy. My military career, which spanned 25 years – provided many global and cultural experiences and a power base worth its weight in gold! Saluting national Veteran Entrepreneur-focused organizations such as the Institute for Veterans and Military Families (IVMF), Veteran Women Igniting the Spirit of Entrepreneurialship (V-WISE) and Entrepreneurial Bootcamp for Veterans (EBV) are extraordinary resources and phenomenal champions. Lastly, singing praises for a host of event partners (vendors), coaches and mentors who continue to challenge me to #KeepSoaring! 1). Be a Passionate Professional … Listen 80% of the time; and speak 20%. 3). Be an Ambassador of Success … Details always matter. 4). Exceed Expectations – Always … A sincere “Wow Factor” is priceless. 5). Deliver Excellence – Go the extra mile. It’s never crowded. Thanking every voice that prayed; every hand that lifted; every heart that heard; and every spirit that saw our vision!